March 27-March 29, 2014. The MedMaps.org meeting of Special Needs Pediatricians in California. Wednesday, April 2, 2014. Autism Awareness Day (and Month). Pretty much, such news should have set off a call to action, don’t you think? Nevertheless, there seems to be very little traction. 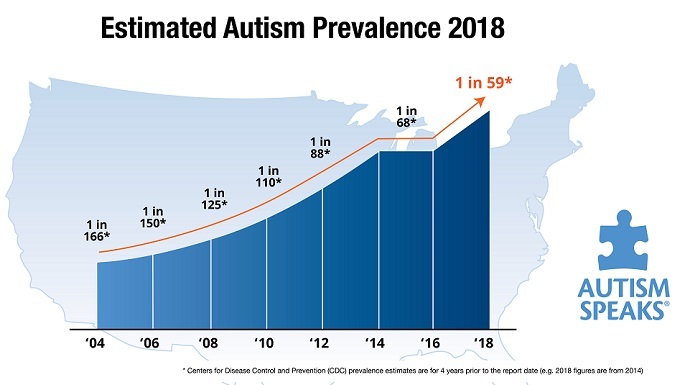 We’re already into the 3rd week of the month, and it doesn’t seem that publicized questions go beyond, “So, do you really think that there is more autism, or have we just changed the criteria?” And, as always, the vaccination issue… Or, nothing. With deference to those with autism who are pleased with their life and lifestyle, what other childhood epidemic has gotten so little attention? In my youth, polio created summertime panic for our mothers, and we were often kept indoors (and that was pre-ac, where I lived). In 1952, at its highest incidence, combined cases (paralytic and non-paralyzing) occurred in ~58,000 out of a population of 158 million people, with approximately 37 million susceptible youth. That was a risk of 1 per 2000 children. Some may argue that, “Polio carried the risks of death or paralysis, this is just autism.” “Just autism,” is not a term that I have heard any parent express. Ergo, we need to erase Autism Un-Awareness. Knowledge and experience will get us beyond this rhetoric. The first part is expanding daily. 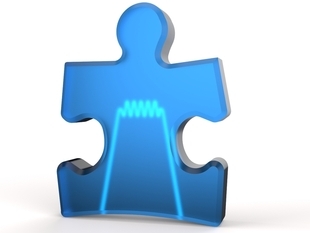 The associations between autism and inflammation, G-I heath, environmental toxins and genetic susceptibility continue to be re-confirmed in the conventional scientific literature. Parents now request much more information about pre-pregnancy and maternal health. Families bring younger and younger children for evaluation. Developmental delays that were previously considered as ‘minor,’ or ‘normal’ may get evaluated and addressed. Sadly, the pediatric community continues to follow a more traditional course in the diagnosis and treatment of this epidemic. Children, nowadays, don’t appear to simply ‘outgrow’ slow language development in the presence of some repetitive or unusual movements. Medical evaluation and intervention do not appear to be consistent with their version. I’m not quite certain what percentage increase it will take to sway the general population that we have a real problem on our hands. Maybe it won’t be a percentage at all. President Roosevelt’s story warned a previous generation about polio. In 1963, the plight of President Kennedy’s premie spurred the development of NICUs with trained specialists to solve the problems of prematurity, while preserving healthy development. It took Magic Johnson to get the public riled up about HIV and the risk to the entire community. Angelina Jolie exposed the BRCA gene, etc. Real autism awareness will come when we stop asking the old questions and start considering the condition(s), as it (they) is (are). Autism was around and has been creeping up on us. What we call ASD is a new disorder in a new century. Speaking of polio, epidemics were virtually unknown in the US until the 20th century. This entry was posted on Saturday, April 12th, 2014 at 3:40 pm	and is filed under >ALL<, Alternative and Complementary Medicine for ASD, Autism Therapies, Conferences, Diets, Earliest Red Flags, Gastrointestinal Issue, Holidays & Vacations, Patient experiences, Research, Reversing autism, Speech and Language, Vaccines, Vitamin B12, Vitamin D. You can follow any responses to this entry through the RSS 2.0 feed. You can leave a response, or trackback from your own site.